Become a Member - Guyra Chamber - Guyra welcomes you, Accommodation, Restaurants, Events, Business Directory, Community Directory. The Guyra and District Chamber of Commerce Inc welcomes individuals and businesses that share an interest in the local business community. We meet monthly on the third Thursday of the month at 5:30 pm at the Guyra Adult Learning Association on Bradley Street, Guyra. 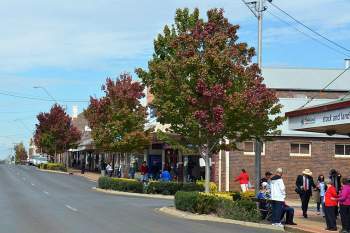 Members of the Guyra and District Chamber of Commerce derive a number of benefits from their membership. 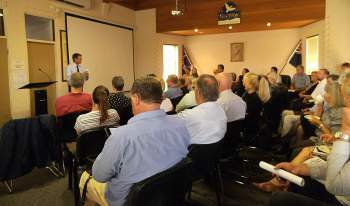 As the voice of business in Guyra, we represent the views of our business community to our Local, State and Federal Government representatives and other stakeholders. The Chamber is also represented on a number of regional committees. Membership of the Guyra and District Chamber of Commerce automatically entitles your business to a free listing on the Chamber’s website. The Chamber’s website is the pre-eminent site for people searching for details on businesses and events in Guyra and District. Your listing on the Chamber’s site will provide a direct link to your own web page or web site. Together, we can help develop Guyra’s business sector and that's an investment in your future: because business growth creates new opportunities for us all. The Chamber provides access to a variety of seminars and professional development workshops on a range of topics at a discounted rate.